Home / Feature Slider / We review J.K. Rowling’s “Fantastic Beasts and Where to Find Them” [no spoilers]. We review J.K. Rowling’s “Fantastic Beasts and Where to Find Them” [no spoilers]. Nearly twenty years after J.K. Rowling created the stunning and enduringly popular wizarding world of Hogwarts and Harry Potter, the British author is finally giving fans more of the same world, albeit without Harry, Ron, and Hermione. 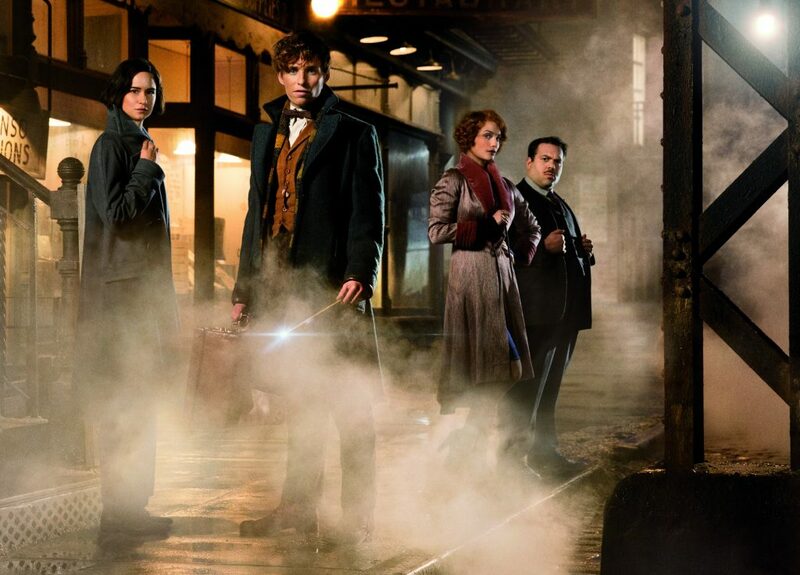 Set in 1926, decades before the Harry Potter series takes place, Fantastic Beasts and Where to Find Them transport viewers to a completely new world of magic. Magizoologist, (a caretaker of magical creatures) Newt Scamander (Eddie Redmayne), arrives in New York City from Britain, carrying with him a suitcase filled with mythical beasts. Newt is trying to rescue yet another creature, even though breeding and keeping them is outlawed in New York. Shortly after arriving, one of Newt’s creatures, a Niffler (a mole/platypus-like rodent with a penchant for stealing anything shiny) escapes. During a chase to re-capture the Niffler, a No-Maj (short for “no magic” and the American term for a Muggle), Jacob Kowalski (Dan Fogler), sees Newt casting spells. In the ensuing confusion, Newt and Jacob accidentally switch suitcases, and Jacob runs away without Newt having a chance to “obliviate” him (a spell that wipes a No-Maj’s memory). A local witch, Tina Goldstein (Katherine Waterston), observes the debacle and threatens to report the breach of the Statute of Secrecy to the Magical Congress of the United States of America (MACUSA), where she formerly worked as an Auror. Instead, she’s pulled into the adventure when Jacob opens the suitcase and Newt’s creatures escape. 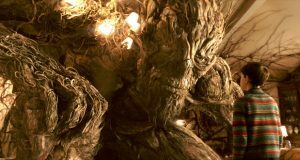 Along with her sister Queenie (Alison Sudol), and Jacob, she ends up helping Newt find his beloved beasts. The four heroes of “Fantastic Beasts and Where to Find Them”. © 2016 Warner Bros. Ent. All Rights Reserved. Harry Potter and Fantastic Beasts Publishing Rights © JKR. Of course, the plot cannot just be about the chase and capture, hence the sub-plot of magical children and their adoption by a Puritan-type, Mary Lou Barebone (Samantha Morton), who’s happy to beat her ‘children’ into submission. Mary Lou is spearheading a group of so-called Second Salemers (yeah, those who burned ‘witches’ at the stake). MACUSA believes that the only way to avoid the wrath of the No-Majs is to keep all magic under wraps. Apart from the fear of discovery and subsequent violence, the Congress must also consider the threat from Fantastic Beasts’ dark villain, Grindelwald, a wizard supremacist. Rowling’s first screenplay contains many similar themes to Harry Potter: lack of tolerance, fear of the Other, and friendship. 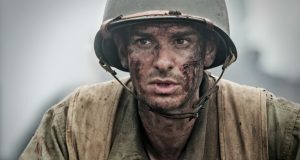 The mysterious director of Magical Security, Percival Graves (Colin Farrell) seeks out one of Mary Lou’s abused children, Credence (Ezra Miller), to help him find information that is only made clear as the film progresses. It’s clear though, that the withdrawn teenager is being manipulated in some way. Eddie Redmayne’s Newt is sweet, pure-hearted, and adorably bumbling, while Katherine Waterston’s Tina is an initially reluctant, yet smart sidekick. But of the quartet of heroes it is Dan Fogler’s Jacob who is the most endearing and entertaining. All that Jacob wants is enough money to ditch his job as a worker in a can factory and open his own bakery. His wide-eyed wonder at being drawn into the world of magic, and his willingness to help his new friends, makes him the most engaging of the four. Some of the creatures are a little too obviously CGI. Their general appearance is like someone tore up images of various real animals and stuck different bits together. That doesn’t mean they’re awful, they just don’t feel as real as, for example, the Griffins in Harry Potter. One of the biggest beasts in Newt’s menagerie is the Erumpent, a gigantic, rhino-like creature that’s in heat. Another is the Thunderbird, a majestic and eagle-like creature with multiple wings. A Demiguise resembles a sloth and is one of the hardest beasts to capture, as it can make itself invisible. Newt’s favourite, and the cutest by far, is a tiny, green, twig-like Bowtruckle named Pickett, who permanently resides up Newt’s sleeve. 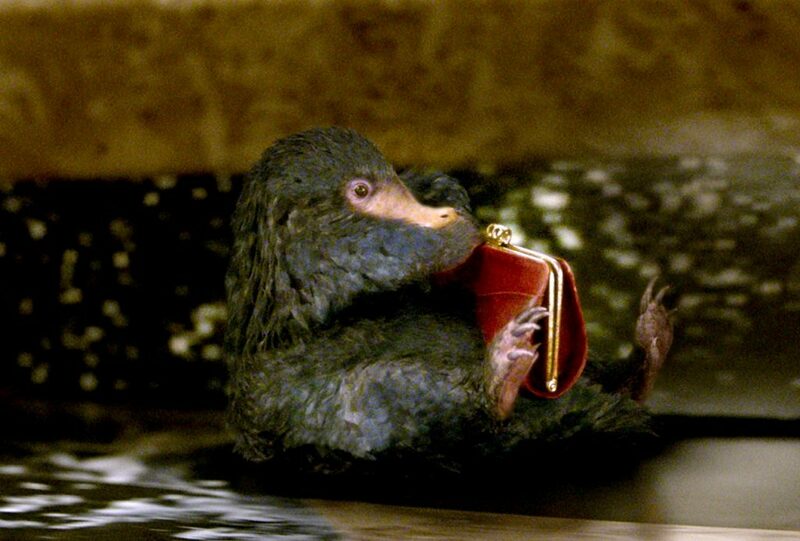 A Niffler is a nifty pick-pocket and thief. © 2016 Warner Bros. Ent. All Rights Reserved. Harry Potter and Fantastic Beasts Publishing Rights © JKR. The chasing feels a bit like the characters are playing Pokémon Go. 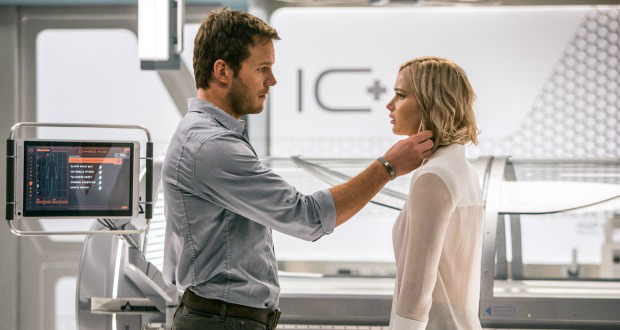 But, the biggest flaw in the plot is the lack of a background story for Newt. Aside from Graves’ revelation that Newt had nearly been kicked out of Hogwarts but was saved by Dumbledore, the viewer knows nothing about him. How did he come to love magical beasts? What did he do that was so bad that he was nearly expelled? Newt has a photograph of a very pretty woman, Leta Lestrange (remember the evil Bellatrix Lestrange from Harry Potter?). Queenie’s digging (she’s a Legilimens or mind reader) reveals that Leta and Newt knew each other at school, but what was their relationship and why did it end? How is Leta related to the other Lestranges? Rowling at least gives us some of Tina’s backstory through flashbacks and it’s likely she’ll reveals Newt’s history in the next four films (yeah, it’s already been decided this will be a five-film franchise and one hopes there is enough story to go that far). Still, a few flashbacks to ‘ground’ the character wouldn’t have been amiss and would allow the viewer to connect more closely with Newt. I’d hoped that David Yates, who directed the last four Harry Potter films, would continue with the darker elements, seeing as Fantastic Beasts, with its adult heroes, appears to be aimed at the audience that grew up along with Harry. The Grindelwald sub sub-plot feels cursory, meaning there is no real sense of that pure evil that was so pervasive in the latter Harry films, as Voldemort grew bolder. Perhaps my expectations were simply too high for this film and perhaps it’s unfair to compare this to Harry Potter, though it’s inevitable. But Rowling still has the next four films to make it up to me. Previous: “Blood Father” – is this action-drama Mel Gibson’s way back to big screen glory? 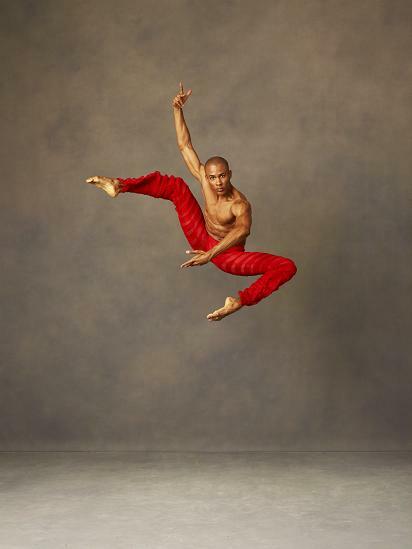 Next: Cirque Éloize’s iD production: “Westside Story gone hip hop circus”. 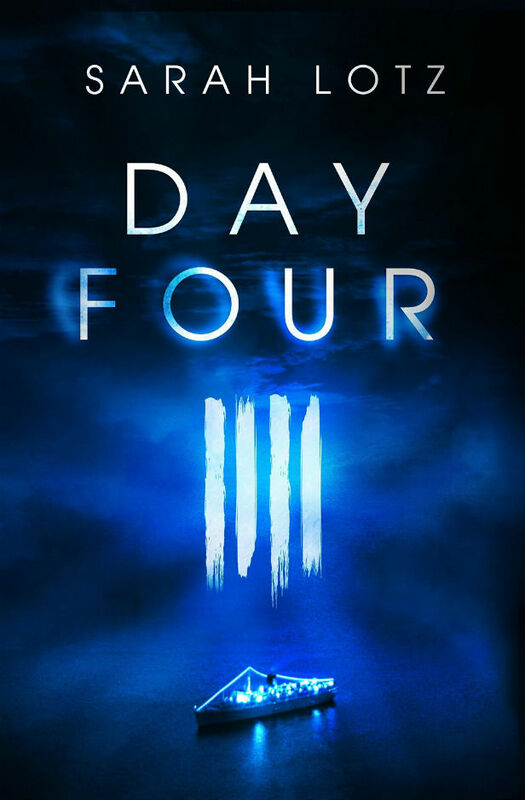 “Day Four” – a watered down, though entertaining sequel to Sarah Lotz’s “The Three”.